Developed by Topos Technologies, Inc., LabSpeed LS (Life Science) is an affordable way to capture, organize and analyze the data from all of your laboratory instruments. 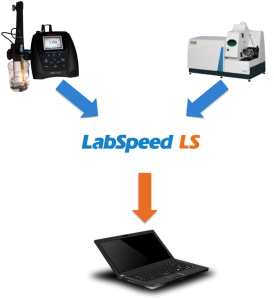 LabSpeed LS is a great solution for your laboratory’s raw data capture needs. LabSpeed LS obviates bulky and expensive paper printouts and removes human error from data recording via real-time data capture. 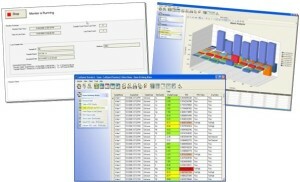 LabSpeed LS is a Windows-only data management system capable of working with numerous instruments and databases via secure Add-Ins. The proprietary Add-Ins gather data stored in almost all formats, from .CSV files to sophisticated relational databases. Lab-Speed LS creates an easy-to-navigate centralized platform for all of your instruments regardless of type or complexity allowing you to coordinate research, data acquisition and analysis. LabSpeed LS can be integrated with ELNs like CERF and RSpace so that verbose data can be annotated and appended to human readable descriptions of your daily workflows and activities, bringing rich contextual meaning to otherwise non-descript data files and making secure collaboration much easier. With LabSpeed LS, the user can interact with the raw data in its native form to monitor processes, check limits, create charts and generate reports. The seamless integration of LabSpeed LS with your instruments also allows users to browse and select samples, mine data, perform visual analytics, check limits and perform on the spot quality control. LabSpeed LS also offers automated export and print options greatly reducing the necessary work hours for any given project. LabSpeed LS allows any level of laboratory personnel to output professional and polished material in no time. LabSpeed LS is sold on a per-computer license basis. Multiple users can access a single instance of LabSpeed LS on a given computer. Discounts are available for volume purchases and site installs. The initial purchase includes twelve months of software updates and support. After the first year, users can purchase an annual maintenance plan at 18% of the original base purchase price. This includes continued support and minor upgrades to the software. Templates for research grids, tables, charts, etc. Integration with ELNs like CERF and RSpace. *If you do not see your instrument on the list, please contact us; we welcome the opportunity to quickly develop an Add-In for any instrument in your lab.